Things to do in Sydney. For those coming to Congress 2018, why not spend a few extra days and explore Sydney. Here are some links to follow. The first one is Free Things To Do In Sydney. We all like free things and apart for some transport costs, these are free. After a day spent, in the garden on Saturday, spreading top dressing on the lawn, we gave ourselves the day off and went into Sydney, for something to do. First stop was the bookstore Dymocks, where I did some shopping for a birthday and Christmas. 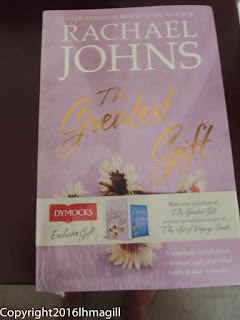 I also picked up a copy of Rachael Johns' new book, The Greatest Gift. A beautiful story, (I read mine on Kindle), about what makes a family. Read it but have the tissues ready. From there we walked up Martin Place and found a Tesla shop and I got to have a good look at one. While it might be good for city driving I would need one, maybe two charging stops and a trip to Melbourne. Loved the colour, didn't like the LARGE centre console display as I felt it was distracting. 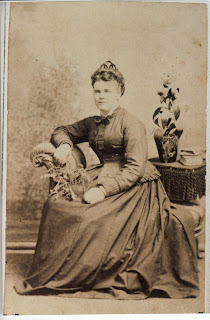 Born on Thursday 22 January 1858 at Black Creek, (Branxton) to Jane and John Hughes, she was named after her maternal grandmother and her mother. She was one of 11 children. Amelia was also the great-granddaughter of John NICHOLS, a First Fleeter. Amelia and Ralph Millar married 5 August 1879 and had six children Marion Jane, 1880-1946 Henry James, 1882-1938 Florence, 1844-1950 Edith Pearl Amelia, 1885-1955 Ruby, 1889-1961 Constance, 1892-1955. Not much is known of Amelia's early life, other than the fact that Jane, her mother could read and write and that the family home was a slab cottage. Amelia died in Branxton on 24 March 1892 from peritonitis, her youngest child just three months old. All of her girls married and had families of their own. This handsome gentleman is Paul's great-grandfather, Ralph MILLAR and I don't really know that much about him. Born c1842 in Maitland, New South Wales. Married 5 August 1879, Gowrie New South Wales. Died 18 August 1911, Tamworth New South Wales. So let me expand this. Ralph married Amelia Jane Hughes at Gowrie. This is not very far from Singleton. Ralph gave scant details for the marriage certificate, just his conjugal status, Bachelor, usual occupation, Settler, usual place of residence, Corinda. Amelia did likewise, with Spinster for her conjugal status, Gentlewoman for her occupation and Branxton for her usual place of residence. No ages, no parents, no birthplace. Her brother and sister, William Hughes and Sophia Hughes were the witnesses. And it was by the rites of the Presbyterian Church of New South Wales. Are You Going to Congress 2018????? What is Congress 2018,I hear you say? To give it it's full title, 15th Australasian Congress on Genealogy and Heraldry. 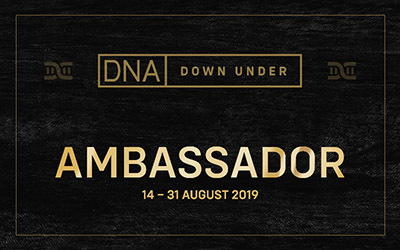 Hosted by the Society of Australian Genealogists, in 2018, it comes under the broad banner of the Australian Federation of Family History Organisations. Held every three years it is the biggest Australian Genealogy event. It will be held from Friday 9 March to Monday 12 March at the International Convention Centre, Darling Harbour. Bridging the Past & Future. With our iconic Sydney Harbour Bridge, how could we not have it in the theme. It is important that we do bridge the past and the future, we have to encourage the younger generations to get involved with genealogy. It is their past too. I'm not going to give to much away but will give a link to the website, at the end. There will be Keynote speakers, with a wide range of topics. 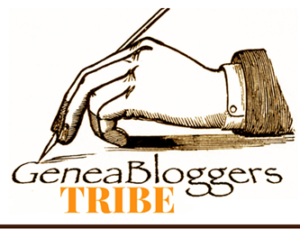 Two days at the Society of Australian Genealogists. Thursday was my usual monthly meeting of the SAG Writers Group and I was presenting a talk on Appendixes. We have been doing several 'Back-to-Basics' talks over the past year. This is to refresh the older members and to let the newer members, hear them. As I was going over my presentation, I realised that it was April 2014 whenI had last given this talk. We usually meet for lunch at Café Mio but this months starting time was 1.30pm, as the was another talk before ours. It was a short talk and I was able to do a question and answer session, which has lead to me being asked to do a repeat of my Copyright, Ethics and Citing your Sources talk, next year. Suzie, waiting for my talk to begin. Painter, employs 4 men, 2 boys. and James Galbraith, who was Curate of Cheddleton, Staffordshire,31yrs, unmarried, born in Ireland and lived in Heath Cottage. In 1861 there were 2,050 people living in Cheddleton and the church was St Edward the Confessor. Then there was Christina Galbraith, an unmarried female, whose occupation was given as Bates Fishing Lines. She lived in Back Street, Campbeltown, Argyllshire, with her six year old son, Alexander Brodie, who was a scholar. There were Ag Labs, servants, gardeners and miners as well. Have you got any interesting occupations on your tree? Let me know. 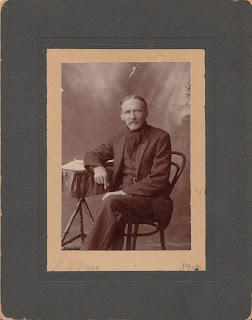 I know I have posted about FamilySearch, several times and that it is a really good and free genealogy website to use. BUT have you looked at their Wiki? I had heard other people mention wiki and didn't take any notice, until today. I am starting the research for my second book and wanted information on Scotland. Thought, 'I'll give the FamilySearch Wiki a try.' WOW! It has heaps of information on a wide range of topics, with links to follow and detailed information. I browsed the pages, clicking on links, discovered heaps, book marked several pages, for future reference and though, 'why haven't I looked at this before?' I use Wikipedia but will now go to FamilySearch, first as I think it will be of more use, with my genealogy. Give it a try. Have a browse. It's FREE. As most of you will know I have had my husband seriously ill. He was in hospital 10 days, on IV antibiotics and them home on the same for 16 days. Two weeks ago we saw the professor and he changed the antibiotics to oral ones for a month. We now are starting to feel like we have our lives back. Paul is about 95% of his pre-illness self and this is improving. He was one very sick man. This threw everything else out the window BUT that is changing, too. This week was a busy one for me. I finally made the meeting of the Bankstown Family History Group, on Tuesday, having missed the last two. We had Peter Plowman talk about emigration to Australia, in the post WW11 years. As the president I really should be there but sometimes life happens.